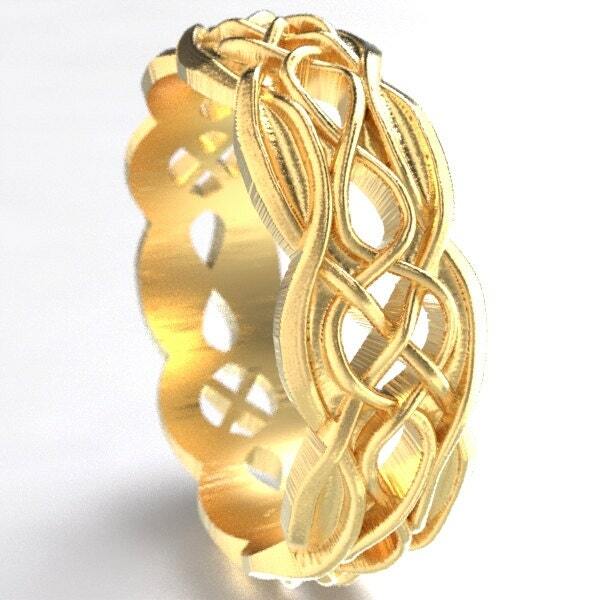 Intricate and elegant cut-through infinity symbol pattern with quaternary celtic knots and solid border. 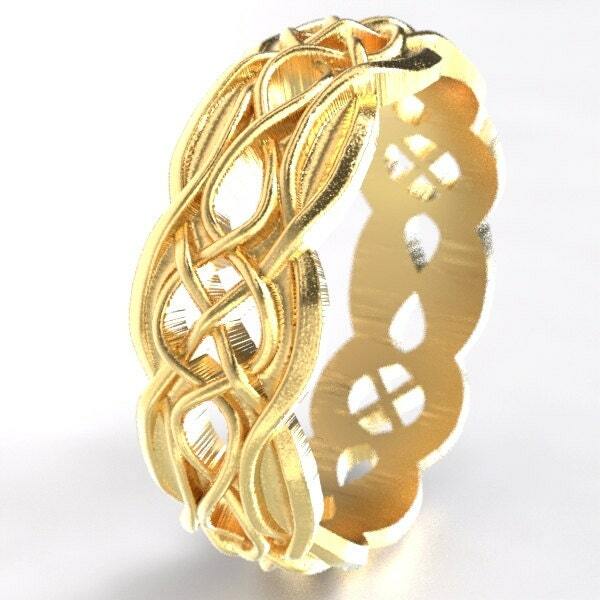 This complex interwoven pattern symbolizes the infinite depth of your love for another while also featuring the four-cornered celtic knot design as a symbol of protection governing your love. 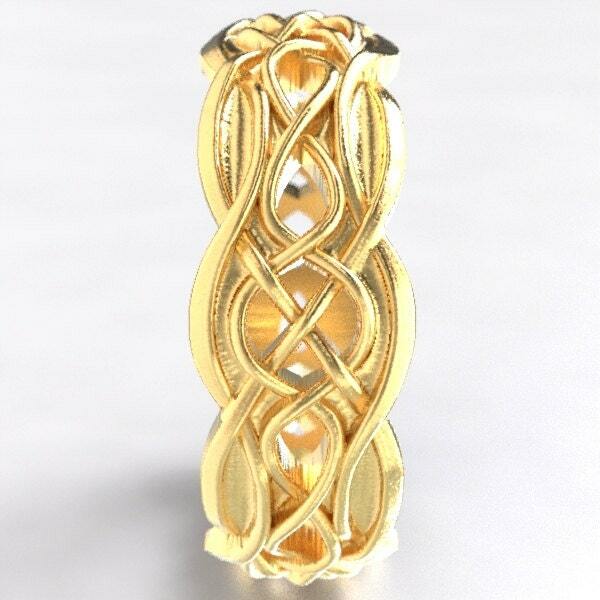 A fantastic mix of symbolism to honor the perfect union! 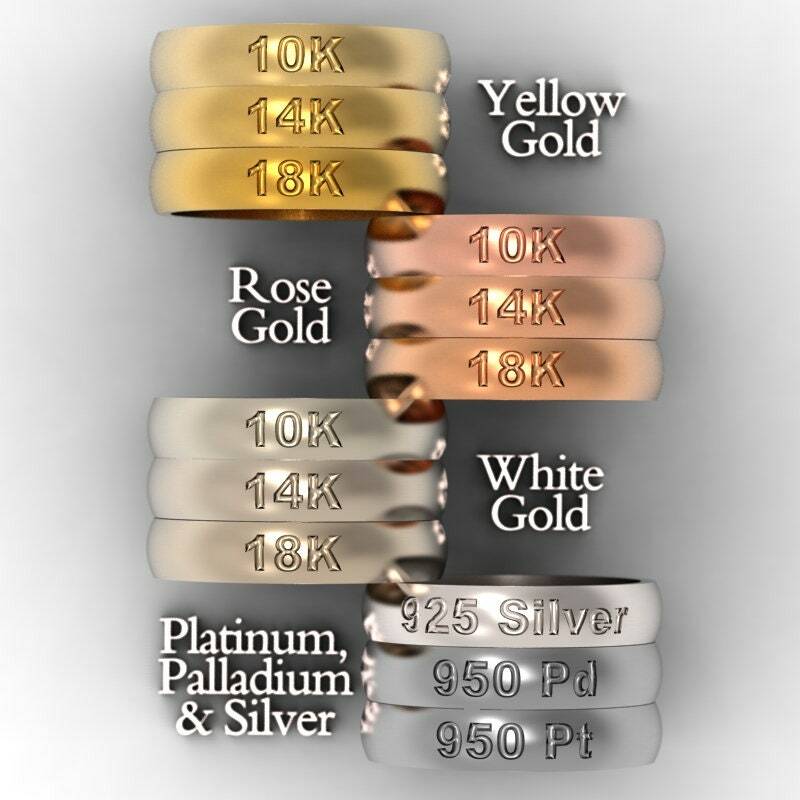 Cast in solid gold, .950 palladium or platinum, these rings are made of 100% recycled metal and your choice of gold color (either white, yellow or rose, see our color comparison photo). 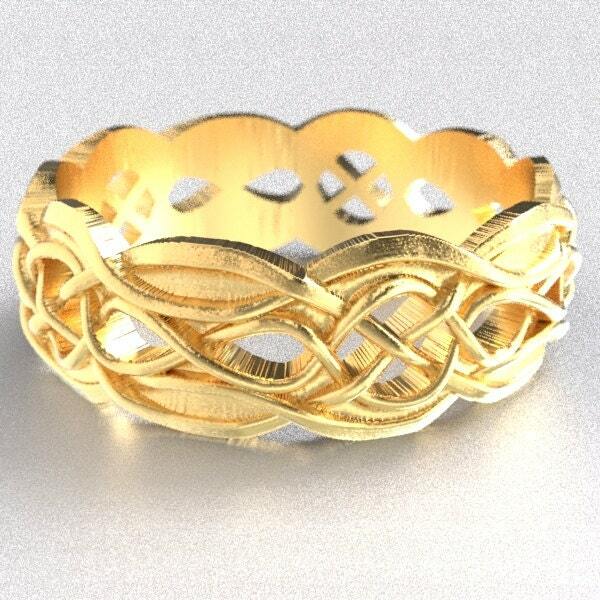 We can make these in either a polished or brushed finish, please let us know which you prefer when ordering.